In a similar format, the discussion on testing of hypotheses starts with a lengthy presentation of classical tests and p-values, the chapter ending up with a list of issues. Most of them reasonable in my own referential. I also concur with the conclusive remarks quoted above that what matters is a comparison of (all relatively false) models. 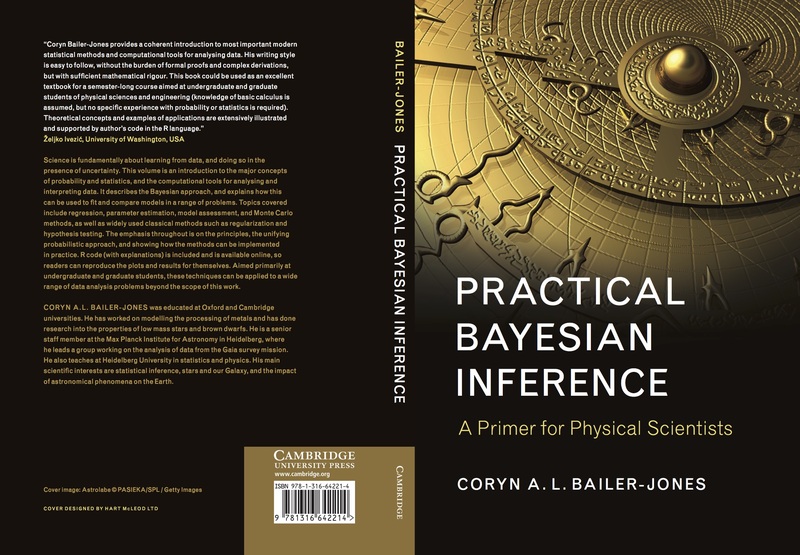 What I less agree [as predictable from earlier posts and papers] with is the (standard) notion that comparing two models with a Bayes factor follows from the no information (in order to avoid the heavily loaded non-informative) prior weights of ½ and ½. Or similarly that the evidence is uniquely calibrated. Or, again, using a truncated improper prior under one of the assumptions (with the ghost of the Jeffreys-Lindley paradox lurking nearby…). While the Savage-Dickey approximation is mentioned, the first numerical resolution of the approximation to the Bayes factor is via simulations from the priors. Which may be very poor in the situation of vague and uninformative priors. And then the deadly harmonic mean makes an entry (p.242), along with nested sampling… There is also a list of issues about Bayesian model comparison, including (strong) dependence on the prior, dependence on irrelevant alternatives, lack of goodness of fit tests, computational costs, including calls to possibly intractable likelihood function, ABC being then mentioned as a solution (which it is not, mostly). no starch press (!) 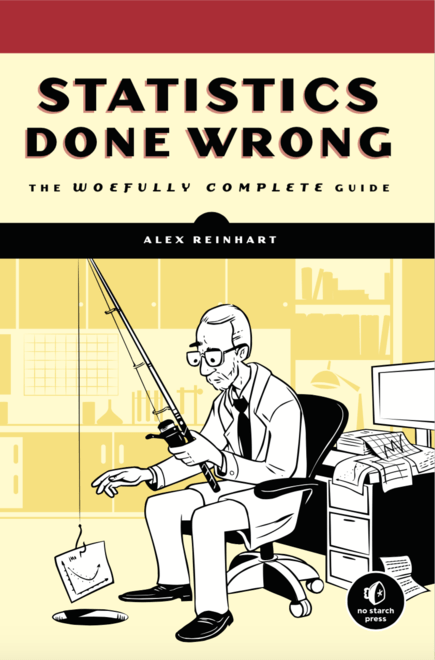 sent me the pdf version of this incoming book, Statistics done wrong, by Alex Reinhart, towards writing a book review for CHANCE, and I read it over two flights, one from Montpellier to Paris last week, and from Paris to B’ham this morning. The book is due to appear on March 16. It expands on a still existing website developed by Reinhart. (Discussed a year or so away on Andrew’s blog, most in comments, witness Andrew’s comment below.) Reinhart who is, incidentally or not, is a PhD candidate in statistics at Carnegie Mellon University. After apparently a rather consequent undergraduate foray into physics. Quite an unusual level of maturity and perspective for a PhD student..! Maybe the limitation in the exercise is that statistics appears so much fraught with dangers of over-interpretation and false positive and that everyone (except physicists!) is bound to make such invalidated leaps in conclusion, willingly or not, that it sounds like the statistical side of Gödel’s impossibility theorem! 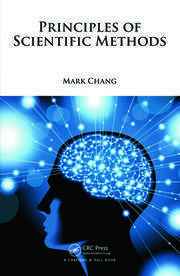 Further, the book moves from recommendation at the individual level, i.e., on how one should conduct an experiment and separate data for hypothesis building from data for hypothesis testing, to a universal criticism of the poor standards of scientific publishing and the unavailability of most datasets and codes. Hence calling for universal reproducibility protocols that reminded of the directions explored in this recent book I reviewed on that topic. (The one the rogue bird did not like.) It may be missing on the bright side of things, for instance the wonderful possibility to use statistical models to produce simulated datasets that allow for an evaluation of the performances of a given procedure in the ideal setting. Which would have helped the increasingly depressed reader in finding ways of checking how wrongs things could get..! But also on the dark side, as it does not say much about the fact that a statistical model is most presumably wrong. (Maybe a physicist’s idiosyncrasy!) There is a chapter entitled Model Abuse, but all it does is criticise stepwise regression and somehow botches the description of Simpson’s paradox. 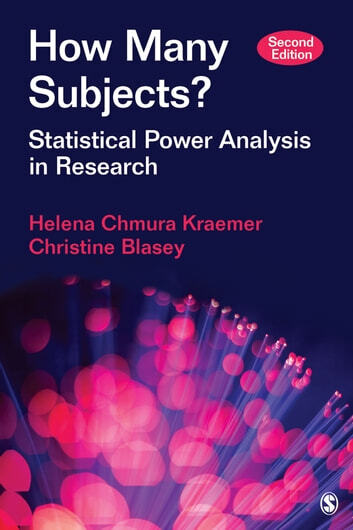 The final pages are however quite redeeming in that they acknowledge that scientists from other fields cannot afford a solid enough training in statistics and hence should hire statisticians as consultants for the data collection, analysis and interpretation of their experiments. A most reasonable recommendation! The chapter (Chap. 3) on Bayesian updating or learning (a most appropriate term) for discrete data is well-done in Machine Learning, a probabilistic perspective if a bit stretched (which is easy with 1000 pages left!). I like the remark (Section 3.5.3) about the log-sum-exp trick. While lengthy, the chapter (Chap. 4) on Gaussian models has the appeal of introducing LDA. The true chapter about Bayesian statistics (Chap. 5) only comes later, which seems a wee bit late to me, but it mentions the paper by Druilhet and Marin (2007) about the dependence of the MAP estimator on the dominating measure. 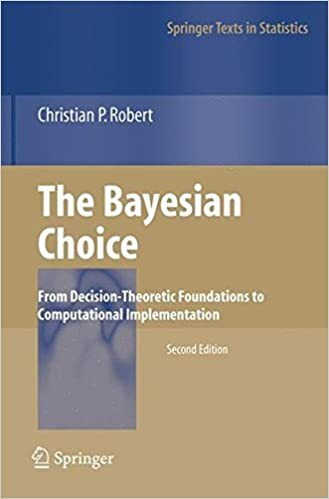 The Bayesian chapter covers the Bayesian interpretation of false discovery rates, And decision-theory (shared with the following chapter on frequentist statistics). This later chapter also covers the pathologies of p-values. The chapter on regression has a paragraph on the g-prior and its extensions (p.238). There are chapters on DAGs, mixture models, EM (which mentions the early MCEM of Celeux and Diebolt! ), factor and principal component analyses, Gaussian processes, CART models, HMMs and state-space models, MFRs, variational Bayes, belief and expectation propagations, and more… Most of the methods are implemented within a MATLAB package called PMTK (probabilistic modelling toolkit) that I did not check (because it is MATLAB!). There are two (late!) chapters dedicated to simulation methods, Monte Carlo Inference (Chap. 23) and MCMC Inference (Chap.24). (I am somehow unhappy with the label Inference in those titles as those are simulation methods.) They cover the basics and more, including particle filters to some extent (but missing some of the most recent stuff, like Del Moral, Doucet & Jasra, 2006, or Andrieu, Doucet & Hollenstein, 2010). (When introducing the Metropolis-Hastings algorithm, the author states the condition that the union of the supports of the proposal should include the support of the target but this is a rather formal condition as the Markov chain may still fail to be irreducible in that case.) My overall feeling is that too much is introduced in too little space, potentially confusing the student. See, e.g., the half-page Section 24.3.7 (p.855) on reversible jump MCMC. Or the other half-page on Hamiltonian MCMC (p.868). An interesting entry is the study of the performances of the original Gibbs sampler of Geman & Geman (1984), which started the field (to some extent). It states that, unless the hyperparameters are extremely well-calibrated, the Gibbs sampler suggested therein fails to produce a useful segmentation algorithm! The section on convergence diagnoses is rather limited and referring to rather oldish methods, rather than suggesting a multiple-chain empirical exploratory approach. Similarly, there is only one page (p.872) of introduction to marginal likelihood approximation techniques, half of which is wasted on the harmonic mean “worst Monte Carlo method ever”. And the other half is spent on criticising Besag‘s candidate method exploited by Chib (1995). In conclusion, Machine Learning, a probabilistic perspective offers a fairly wide, unifying, and comprehensive perspective on the field of statistics, aka machine learning, that can certainly be used as the textbook in a Master program where this is the only course of statistics, aka machine learning. (Having not read other machine learning books thoroughly, I cannot judge how innovative it is. The beginning is trying to build the intuition of what the book is about before introducing the models. Just not my way of proceeding but mostly a matter of taste and maybe of audience…) The computational aspects are not treated in enough depth for my taste and my courses, but there are excellent books on those aspects. The Bayesian thread sometimes run a wee bit thin, but remains a thread nonetheless throughout the book. Thus, a nice textbook for the appropriate course and a reference for many.